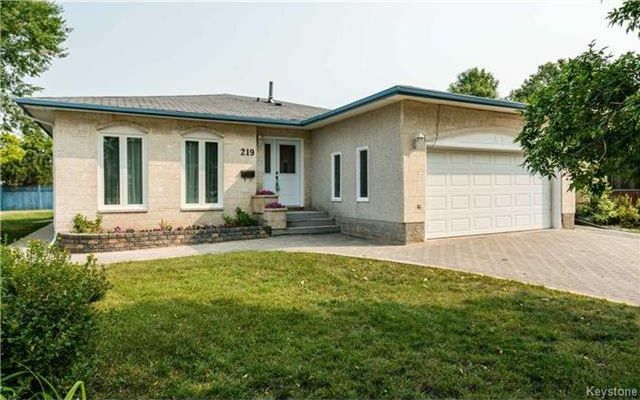 Check out the video link for a personal tour!Fabulous 1520 sq ft three bedroom bungalow on quiet cul de sac in Meadow West. Features sunken living room, open concept with cathedral ceiling, large eat in kitchen, gorgeous hardwoods through out main floor, spacious master bedroom with three piece ensuite and walk in closet. All main floor windows are brand new pvc windows. Basement is fully finished with spacious rec room, 2 "guest" rooms, a full bath, plus a fantastic workshop with custom cabinets and work bench. There is also a nice laundry room and plenty of storage. Huge fenced back yard with stone patio on a large pie lot only steps away from Meadows West School. Five appliances are included. Attached garage is 22 x 20 plenty of room for two vehicles.